Allergic rhinitis results from an inflammatory immune response triggered by inhaled pollen, dust mites, or animal dander. Pollen is a major cause of allergic rhinitis, and pollen allergy is more commonly known as seasonal allergies or hay fever. Symptoms of seasonal allergies occur shortly after inhaling pollen that the sufferer is allergic to and can include an itchy nose, mouth, eyes, throat, skin, problems with being able to smell, a runny nose, sneezing, and watery eyes. Allergies, including seasonal allergies, have steadily increased over the past fifty years to become a common problem. 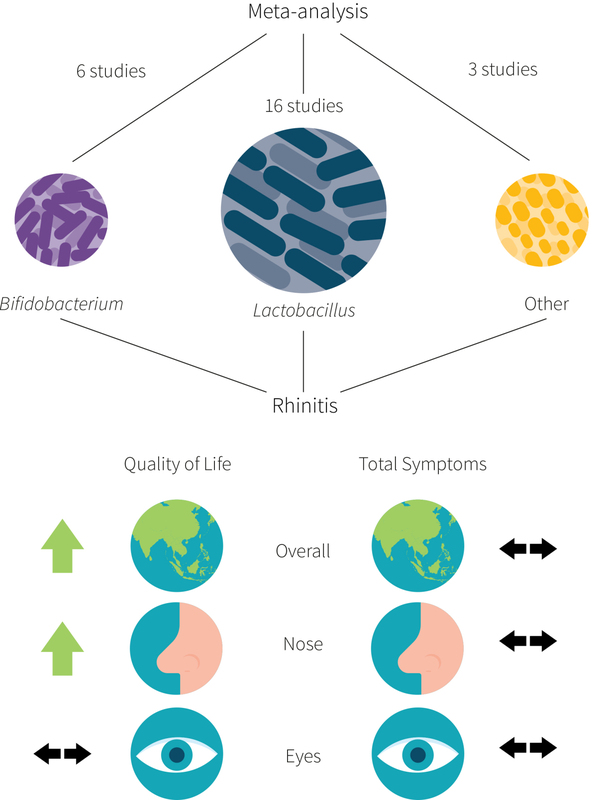 Rhinitis now affects more than 30% of the US adult population, according to patient-reported data, and over 14% of people are diagnosed with allergic rhinitis by a doctor. In addition to the typical symptoms of hay fever, patients can experience reduced quality of life due to a lack of sleep, reduced productivity at work or school, emotional distress, and embarrassment due to the symptoms. Current medications used to treat the symptoms of allergies can have undesirable side effects, including dry mouth, drowsiness, and sleeplessness, which can in turn affect patients’ quality of life. This has encouraged the search for alternative treatment strategies, including probiotic bacteria as a new therapy for improving hay fever symptoms. Probiotics are living microorganisms which may provide health benefits when consumed in sufficient amounts. The most commonly used probiotics include bacteria like Bifidobacteria and Lactobacilli. Probiotic bacteria have the potential to alter immune responses through a variety of mechanisms that could reduce allergic reactions to airborne allergens without the side effects of some current drugs. These potential mechanisms, depicted in Figure 1, include increasing regulatory T cells that damp down immune responses, and suppressing the production of IgE antibodies. A recent meta-analysis of clinical trials reported that the majority of studies showed some improvement in seasonal allergies in response to probiotic treatment. However, contemporary evidence is still limited due to the wide variety of different probiotic bacteria used, the way probiotics are delivered (for example, in yogurt, capsules, or milk), the duration of the treatment, characteristics of the patients, and different primary and secondary study outcomes measured by researchers. A probiotic containing three different strains of bacteria, given to older adults, was recently shown to be beneficial in affecting the immune system. More specifically, the researchers observed an increase in the anti-inflammatory cytokine interleukin-10. This effect suggests that this combination of probiotics could benefit people suffering from seasonal allergies. In this study, the researchers set out to test whether this probiotic, containing Lactobacillus gasseri, Bifidobacterium bifidum, and Bifidobacterium longum, could improve quality of life for people suffering from seasonal allergies compared to a placebo. They also tested some potential mechanisms through which these probiotics could be altering immune responses that could explain any benefits seen in the participants’ seasonal allergies. Allergic rhinitis is a common health issue that can negatively affect sufferers’ quality of life. This study was designed to determine whether quality of life improved for people with seasonal allergies in response to a daily dose of three probiotic bacteria, compared to the effects of placebo administration. This study was a double-blind, placebo-controlled, randomized clinical trial. The double-blinding means that neither the participant nor the scientists involved in running the study knew which treatment group the participants were in. Being placebo-controlled means that one group was given the probiotic while the other was given placebo pills containing no probiotics. Randomization means that the participants were randomly allocated to the probiotic or placebo group. Participants in the probiotic group were given two daily probiotic capsules each containing 1.5 billion bacteria, including Lactobacillus gasseri KS-13 (1.2 billion), Bifidobacterium bifidum G9-1 (0.15 billion), and Bifidobacterium longum MM-2 (0.15 billion) for eight weeks during the spring allergy season, or placebo capsules containing 348 milligrams of potato starch. One capsule was taken just after breakfast and the other after the evening meal. The capsules were manufactured and supplied by Wakunaga of America Co., Ltd, who also funded the trial. The study took place during the predicted peak spring allergy season for hay fever that was estimated to be early- to mid-April in the area the study took place. Participants included 173 adults aged between 18 and 60 years with an average age of 27 years. Participants self-identified as suffering from seasonal allergies, and were willing to avoid consuming fermented foods, other probiotics, or supplements during the study. People regularly using allergy medication during the pollen season, receiving allergy shots, or taking anti-inflammatory drugs were excluded from the study. To measure the primary outcome of the trial, the subjects’ rhinoconjunctivitis-specific quality of life, participants completed a weekly Rhinoconjunctivitis Quality of Life Questionnaire for the eight weeks of the study. This questionnaire asked how an individual's symptoms were affecting activities (at home, at work, or sleep) and leading to practical problems (e.g., the need for repeated nose blowing). It also assessed how severe their nasal symptoms (sneezing, blocked, or runny nose), eye symptoms (itchy, sore, or watery eyes), and other symptoms (tiredness or fatigue, or feeling irritable) were. An additional weekly questionnaire, the Gastrointestinal Symptom Rating Scale, recorded gastrointestinal symptoms (diarrhea, constipation, abdominal pain, indigestion, and reflux). Differences in gastrointestinal symptoms were included as a second outcome because probiotics can influence the functioning of the gut. In addition, 72 participants provided blood and stool samples at the start and in week six of the study, when the pollen levels were predicted to be highest, to look at potential mechanisms through which the probiotics could be having an effect. Blood was drawn to measure the level of immunoglobulin E (IgE) antibodies and the proportion of regulatory T cells to assess changes in the immune system. Stool samples were used to analyse the gut microbiota composition of the participants and detect change in the gut bacteria due to the probiotics. This double-blind, placebo-controlled, randomised controlled trial tested the effects of a probiotic supplement containing Lactobacillus gasseri KS-13, Bifidobacterium bifidum G9-1, and Bifidobacterium longum MM-2 on the quality of life in seasonal allergy sufferers during the peak of the pollen season. Additionally, the effects of the probiotic on the immune system and gut microbiota were analyzed to identify mechanisms through which the probiotic could be benefitting the participants. The overall quality of life score reported by the probiotic group significantly improved during the trial compared to the placebo group. Unexpectedly, quality of life scores were at their worst at the start of the trial, rather than at the predicted peak of the pollen season. The probiotic group reported decreased symptom scores for activity, nasal symptoms, and other symptoms. Overall, the reductions in global and symptom-specific scores were about 0.5 points on a 7-point scale. None of these symptom scores significantly decreased in the placebo group. The practical problem scores decreased in both groups, but more so in the probiotic group. Based on the answers from the weekly gastrointestinal symptom questionnaires, there was a significant effect of the probiotic on constipation during the study. After starting out similarly in both groups at the beginning of the trial, constipation symptom scores were reduced in the probiotic group in weeks 3, 4, 6, and 7, but not at week 8. There was no difference in the levels of IgE antibodies in the blood samples between the probiotic group and the placebo group. However, the IgE levels in the blood increased over the six weeks of the trial in both groups. Regulatory T cells, which are anti-inflammatory cells of the immune system, increased during the study in all participants but there were no differences between the probiotic and placebo group. When the gut microbiota composition was analyzed, the proportion of Lactobacillus gasseri increased in the probiotic group, but not in the placebo group. Another species of bacteria identified as a Faecalibacterium increased in the probiotic group. Meanwhile, two bacteria identified as Escherichia coli and Haemophilus parainfluenzae decreased in the probiotic group. The diversity of the microbiota was not different between the treatment groups. Overall, there were more changes in the microbiota of the probiotic group than the placebo group. Participant compliance was good, as 87% of the capsules provided were taken and 95% of the questionnaires were completed. The blinding of the study was effective, as similar proportions of the participants in the probiotic or placebo groups guessed that they were receiving the real probiotic. The participants taking the probiotic supplement improved their overall quality of life scores. The reduction in constipation scores also suggests improvements in gut health in those taking the probiotics. The levels of IgE antibodies and regulatory T cells, however, did not differ between treatment groups. Only one of the probiotic bacteria, Lactobacillus gasseri, was detected in stool samples. Since this was a carefully controlled trial, the results can be considered good evidence that the benefits for quality of life scores were due to the probiotic, as these benefits did not occur in the placebo group. The presence of the probiotic bacterium Lactobacillus gasseri in the stool of participants indicates that the beneficial effects are likely to be due to either this bacterium or a combination of the three probiotic strains contained in the supplement. 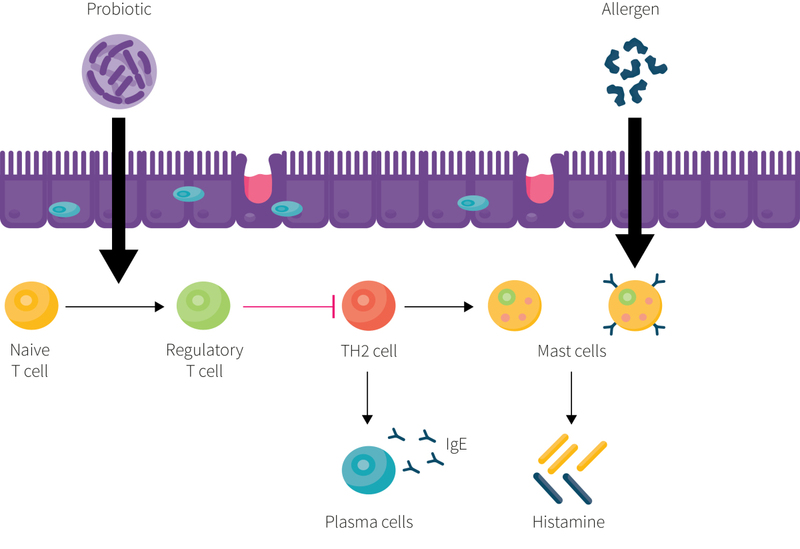 This is the first trial to investigate the effects of this particular combination of three probiotic strains on quality of life in participants with seasonal allergies. An important question is whether the probiotics noticeably improved quality of life. The level of hay fever reported was not very severe and the quality of life scores reflected this throughout the study. This means that the participants did not reach the quality of life score cut-off of 2, one of the original inclusion criteria, meaning the participants were not as badly affected as the study investigators had planned. People who regularly used anti-allergy medication were also excluded. Thus, the authors excluded exactly those patients who would benefit most from an alternative treatment of their seasonal allergies. In addition, the peak allergy season occurred earlier than predicted and so less pollen may have been present than expected. The lack of changes in regulatory T cells or in IgE antibodies indicate that these measures cannot provide an explanation for the improvements seen in this study. However, the proportion of regulatory T cells measured in the blood may not accurately reflect changes in specific body tissues, such as in the gut where the probiotics are acting. 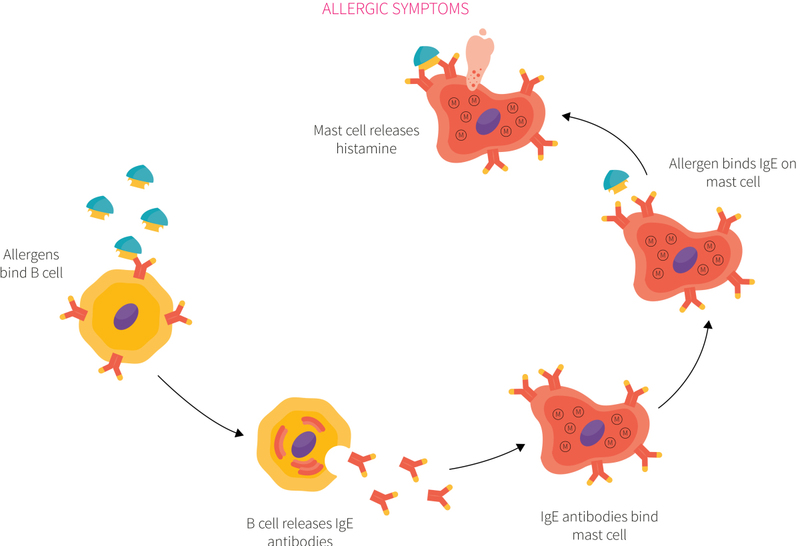 Additionally, IgE antibodies in the blood do not always accurately reflect visible symptoms of allergies, even though IgE antibodies are involved in the allergic response as shown in Figure 2. Thus, the precise mechanism of the probiotic supplement’s effects remains uncertain. One type of bacteria, Lactobacillus gasseri, was present in the stool samples of the probiotic group, indicating that it survived passage through the gut. This does not mean that the other two probiotic bacteria did not have any effect, only that they were not present in large enough amounts to be detected. This is potentially due to the probiotic supplement containing a lower dosage of Bifidobacterium bifidum and Bifidobacterium longum. Other changes in the gut microbiota in the probiotic group were potentially beneficial. Faecalibacterium have been found at lower levels in children who develop allergies, while greater proportions of Escherichia coli in the gut have been associated with increased allergies in children. It should be noted that this trial was funded by the company producing the probiotic that was tested. 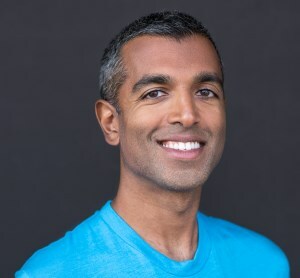 What may sound like a source of bias, is yet common practice in this type of research as supplement, as supplement companies are often the only source of funding for large clinical trials. However, it does raise the potential for conflicts of interest. One action the authors of the study took to reduce potential bias was to register their clinical trial before it was carried out and to provide details of the experimental setup and investigations that they were planning. This ensured that the way the study was carried out, and what was measured, was not changed after data collection began, and helped ensure that the results would be published even if the results of the trial were negative. In addition, none of the authors of the study had any direct links to the supplement company. This study tells us that the probiotic treatment improved hay fever sufferers' allergy-specific quality of life scores and reduced symptoms in hay fever sufferers who had mild symptoms to begin with. While these benefits of the probiotics were statistically significant, the effect sizes, and thus the real-world benefits, were relatively small. This study confirms the findings of a recent systematic review investigating the effects of probiotics on hay fever, which found most studies had shown at least some benefit from probiotics compared to placebo. Some of its results are summarized in Figure 3. Overall, the systematic review found probiotics reduced the standard mean difference in quality of life scores by a large amount, but the large effect found comes with some caveats. First, there was a big error in the estimate, so the data are compatible with both small and very large effects. Also, the authors noted that the studies were very heterogeneous and that larger, more recent studies found little effect compared to older, smaller ones. So, while an effect seems to be present, it’s hard to tell how large it is. The efficacy of probiotics can be put in the context of other inflammatory disorders for which there is evidence that they can be beneficial. For example, probiotics are being studied for the prevention and treatment of food allergies and in the management of eczema in children. When considering the treatment of a condition like hay fever, it should be noted that this trial had rather modest effects on the participants’ seasonal allergies, equivalent to “a little better” and “somewhat better.” This is consistent with previous clinical trials of probiotics and suggests that, while beneficial to quality of life, currently available probiotics are unlikely to be a cure for seasonal allergies in adults. The mechanisms through which supplementing with probiotics can improve seasonal allergies is still not well understood, and this situation has not changed over the past in the past ten years. Since the study at hand failed to find changes in the immune system that would explain the reported benefits, further studies will be needed to identify the underlying mechanisms through which probiotics influence allergic symptoms. If these mechanisms were better understood, scientists could more specifically target certain aspects of the human immune system by selecting or designing specific strains of probiotics. This clinical trial adds to current evidence supporting the use of a probiotics for reducing the symptoms of seasonal allergies. However, the precise mechanisms through which the probiotics caused this benefit are still not well understood. This study adds to previous research indicating that a number of different probiotic bacteria can have a possibly small but beneficial effect on improving the quality of life for people with seasonal allergies. 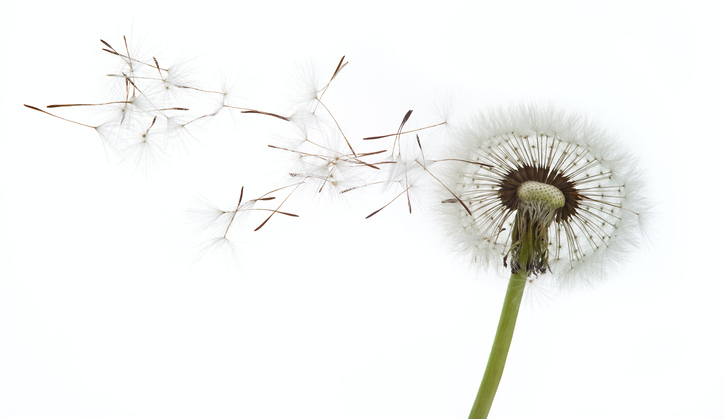 What other probiotic strains have evidence for efficacy for hay fever? There are many different probiotic supplements currently available. All of them contain different types and doses of probiotic bacteria. This study provides evidence that the particular combination and dosage of three probiotics (Lactobacillus gasseri KS-13, Bifidobacterium bifidum G9-1, and Bifidobacterium longum MM-2) can improve the quality of life of people with hay fever. Previous studies studies have found that other species and strains of probiotic bacteria improve the symptoms of seasonal allergies in adults, including Bifidobacterium lactis NCC2818, Bifidobacterium longum BB536, Lactobacillus paracasei LP-33, Lactobacillus GG, and Lactobacillus gasseri TMC0356. This evidence indicates that a range of different probiotic bacteria are likely to be of benefit in seasonal allergies and that one particular probiotic supplement is not necessarily more effective than another. However, the benefit of probiotics for seasonal allergies was relatively small in all studies. Seasonal allergies are a common problem and affect the quality of life of people who suffer from them during the pollen season. Probiotics are a potential new therapeutic approach to improving the quality of life for people who suffer from seasonal allergies. This clinical trial shows that, compared to a placebo, a probiotic supplement can improve the quality of life in people with seasonal allergies during the allergy season. However, even though the symptoms of the participants were mild to begin with, improvements were only modest and did not resolve the subjects' symptoms altogether.